Home » Art » celebrations » children » Clubs'N'Pubs » Comments » cookery » Countries » Crafts » customs » Europe » Featured Articles » History » LOCALS RE-LIVE THE BATTLE OF EVESHAM. LOCALS RE-LIVE THE BATTLE OF EVESHAM. 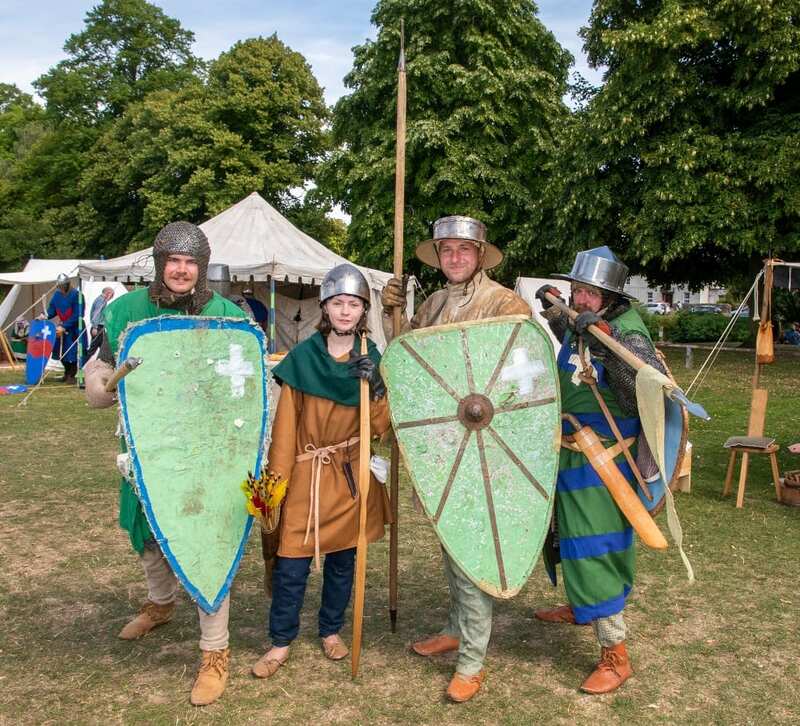 The people of Evesham were taken back 800 years to the mid 13th Century last weekend, when a medieval festival and the re-enactment of the Battle of Evesham took place in and around Evesham town. 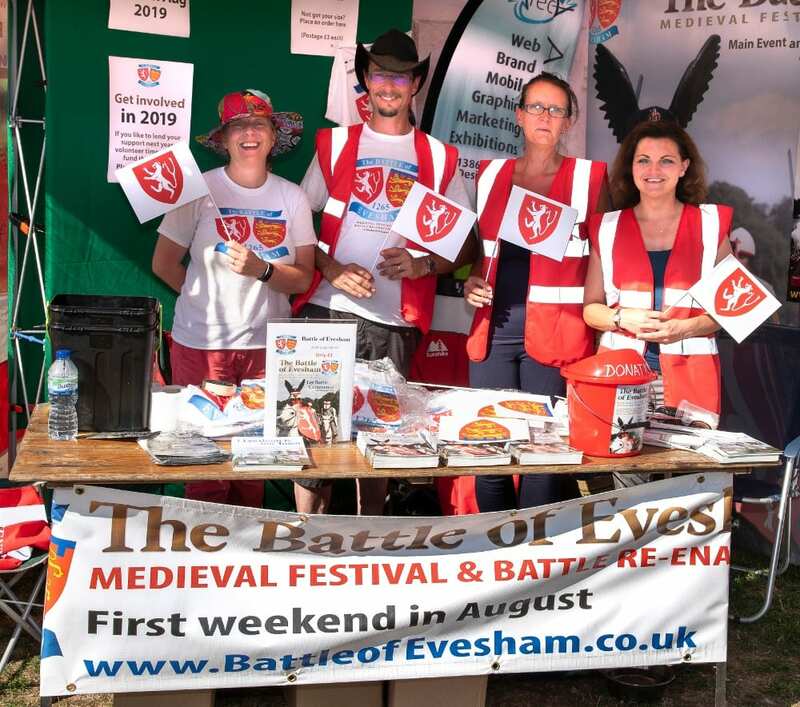 The two-day event began with a spectacular parade around the town centre, linking in with the Simon de Montfort Society, who were celebrating the traditional wreath laying and commemoration of Earl Simon’s death at the Battle of Evesham on 4th August 1265. After which the ceremony, the parade continued on to Crown Meadow for the opening of the Living History Camp. Around ten top 13th century re-enactment and living history groups from all around the UK including specially trained horses from the Crusade Cavalry Re-enactment group. 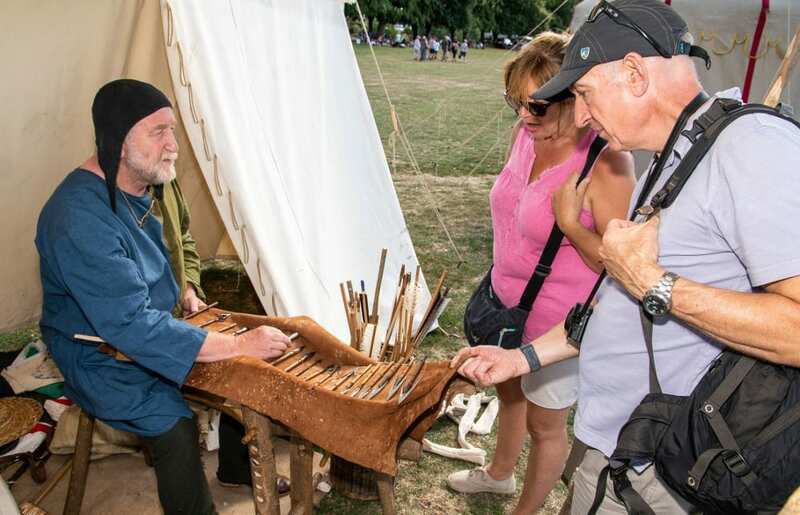 As well as the battles, there were medieval tents pitched where visitors could chat to the craftsmen and women from all walks of medieval life. There were arrow makers, map makers, people who worked in medicine and surgery, soldiers, armourers – all as authentic as possible in their costume, tools, armour and skills. 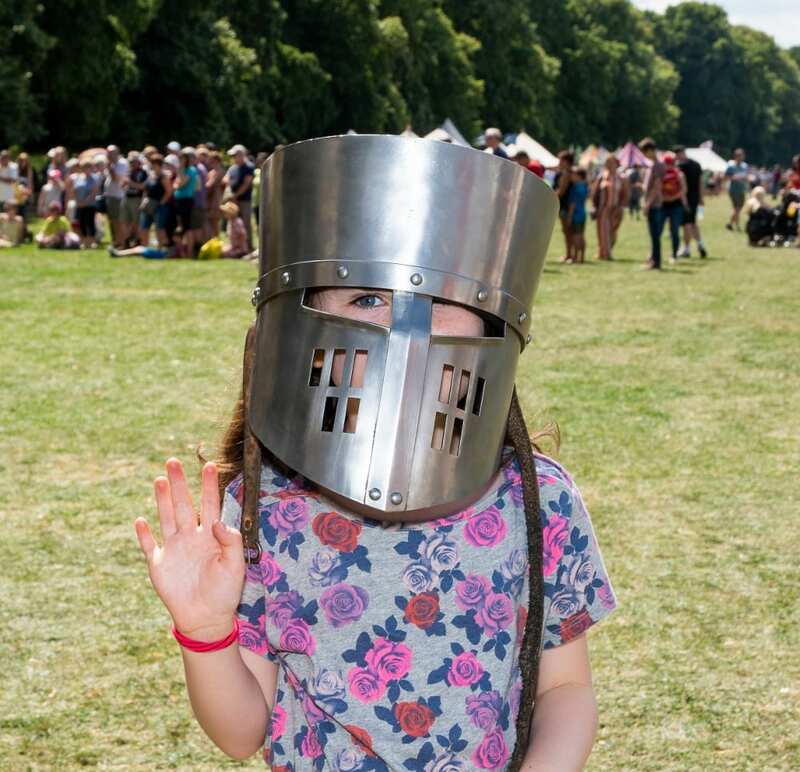 With plenty of food stalls, craft stalls, fun activities for the kids, such as firing mini boulders from model trebuchets, to some medieval folk dancing – you could even try your hand at learning to play the harp. It was a great day, and glorious weather to accompany it. 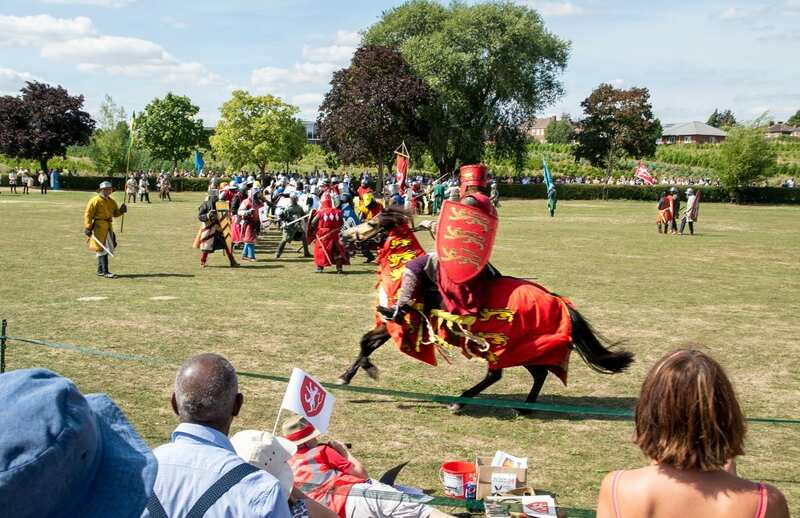 The battle re-enactments were exciting and action-packed, with swords clashing and horses galloping. 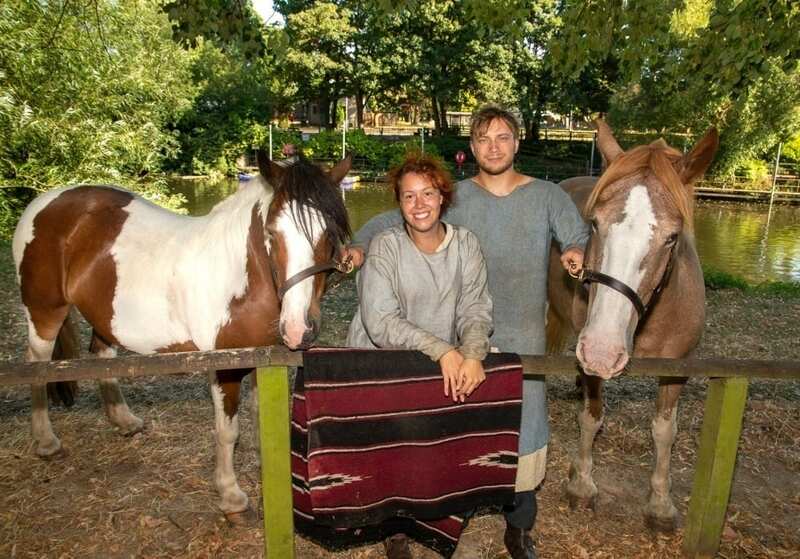 Later, we chatted to Jess Harris and Andrew Thornton of the Crusade Cavalry Re-enactment. They were relaxing by the river with their horses. 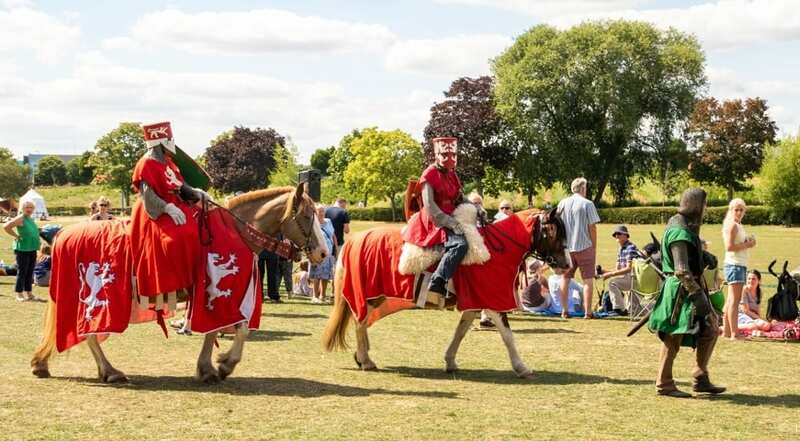 It’s been three years since Evesham last celebrated the Baron’s War and the Battle of Evesham which saw Royalists under King Henry III battling against the Rebel Barons, led by Simon de Montfort. Back in 2015 it was to mark the 750th anniversary of the original battle, (1265) in which 15,000 men lost their lives – including Simon de Montfort. Initially, Mick and his wife Sue, backed by Mick’s company Areca Design, along with events manager Kate Varvedo and historian, Ashleigh Janes, who is also Almonry Manager at the Almonry Museum and Tourist Information Centre in Evesham, got together to form Re-Events CIC which staged the battle and festival. They are grateful for the support of so many people including the Evesham Town Council, Worcestershire County Council, Evesham Town Football Club, and their Rowing Club, their main sponsor Karndean Design Flooring, as well as numerous individuals and businesses. Talking about the festival, Mick said, “We had the basics from the event in 2015, but we’ve been working on this year’s festival for the last 10 months, including watching the weather recently! We’re really happy the way it’s all come together – the re-enactors, the visitors, the parade – which was fantastic. Overall, it’s been a great success. The town clerk, the town council and the mayor have all been very pleased and impressed with the event.